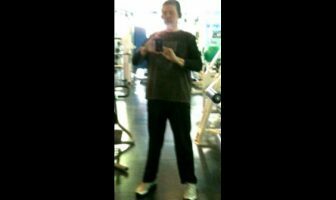 You are at:Home»Exercise»How To Develop Muscle Symmetry with Weird Body Shapes? I have a question about body shape and symmetry. I have been weight training for about 5 years and for some reason my chest is very odd-shaped. I see other guys at the gym and their pecs are much fuller and more symmetrical than mine. No matter how hard I train my chest, it just does not seem to grow into the shape I’m after. What can I do about this? Exercise will always be an essential part of attaining the “perfect body” for each person but genetics play a huge role in a person’s overall muscle shape and symmetry. The length of the biceps muscle and the fullness of pectoral muscles are purely dependent on the genes of the person’s mother and father. Have you ever seen someone in the gym with huge muscular calves yet they never train them? That’s genetics! How about the guy who rarely does more than just a few sets of barbell curls and his arms look like massive cannons? 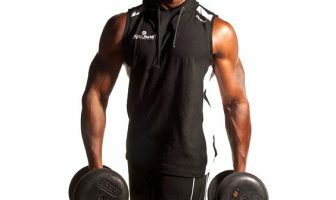 Everyone’s genetics and muscle symmetry is different and the easiest way to visually see this is by opening up a few popular bodybuilding magazines and reviewing photos of competitive bodybuilders whose body fat levels are ultra low (less than 5%) and every single muscle fiber is blasting through their skin. When someone is that lean, it’s very apparent how the person’s genetics come into play. Look at the different muscle groups on all the bodybuilders and you will quickly see discrepancies between the overall shape, size, fullness and thickness. This is genetics and winning really comes down to whether or not you have been blessed with the right genes for a championship physique. The key to finding the best symmetry for your own body is through intense weight training so you can build up maximum muscle mass while keeping your body fat at reasonably low levels in order to show off your hard-earned muscles. These goals are fundamental, however, you need to distribute the muscle mass. Doing so will give you a symmetrically pleasing body shape. This means have the same level of muscle mass in your upper body as well as your lower body. By definition, symmetry means “correspondence, similarity, or balance among systems” so the emphasis on your routine is to have a balanced physique that is refined and impressive. The development of a symmetrical physique means training all muscle groups through a variety of exercises. The rationale for having a symmetrical body is very important. A physique with evenly developed muscles looks way better because it is balanced and has no obvious weak points. Everyone’s chest muscles have different shapes and your specific genetics will determine the overall shape of your pecs. Some people have fuller and wider pec muscles than others. While others have a genetic gap (cleavage) between their pecs. Although there will always be some difference in your overall chest shape, you can and should focus on hitting the pectoral muscles (upper, lower, middle) from all angles to build them up as best as you can. Work on decline press movements for the lower area, incline press for upper and flat bench for the middle chest area. Also try dips, flyes and dumbbell pullovers. Pullovers will help widen the rib cage which will help give a thicker and fuller look to your chest. To develop a symmetrical body and achieve evenly sized muscle mass in your shoulders, back, chest, abs and legs means training all these muscle groups without giving preference to one particular group. The key to their complete development is the inclusion of mass building multi-joint compound exercises such as barbell rows, squats, deadlifts, bench press and military press. This allows you to build the most amount of muscle mass by working with the heaviest possible weights to spark overall growth. A great tip is to always change up your exercises and workouts in different ways so that your muscles do not get used to any particular movement or routine. Variety is the key to growth so you want to make sure you avoid doing the same thing day in and day out or your body will have nothing to do but to plateau and stop growing. You are more likely to develop overall body and muscle symmetry if you alter your routines every 2-3 weeks. Find out which exercises and workouts work best for your own body and then switch them up with different sets and reps schemes to shock your muscles. On some days, train with ultra heavy weight and low reps and then on other days focus more on higher reps and less weight to burn out the muscle group. Each workout should have a different element to it, whether its machines versus free weights or multi-joint exercises versus single joint exercises, just make sure to try something new or your body will have a very hard time growing. Endomorph: large-boned, pear-shaped bodies with higher levels of body fat. 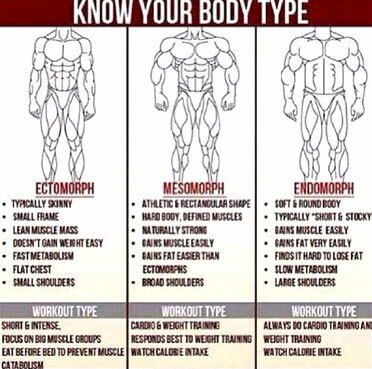 Ectomorph: small-boned, lean, slim and hardgainer physiques. Mesomorph: best of all body types which is both muscular and lean. Every human is genetically predisposed to one of these body types so knowing your natural body type will help you achieve your perfect body shape by not only training the right way but by following the right diet and cardio routine. For example, a person who has an endomorph body type (chubby) will need to eat less carbs and do more cardio than a person with an ectomorph body type (lean and skinny). In regards to your specific question about developing your chest, the best advice I can give you is to try your best to overload your pecs with mass building exercises and see how far you can go in terms of packing on size and thickness to your chest. Stick with heavy barbell bench press, dumbbell incline press and dips. Finish your workouts with shaping movements like cable crossovers and dumbbell flyes to really hit the area and burn it out. You will soon realize your overall potential for growth when you add intense weight training along with eating a clean muscle building diet that is high in protein and packed with lots of quality calories. 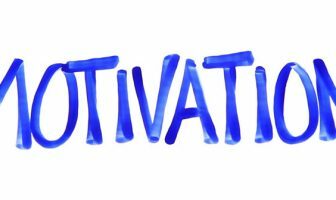 Stick to your plan and keep a positive attitude since your overall discipline and mental focus will be the keys to your success!